The photo shoot “The Head Dress” by South African photographer Lauren Fletcher is just that – stunning! Model Aphelele-Mbiyo looks so regal on these pictures. I read on Lauren’s website that the inspiration for this shoot was “Clan” and she decided to give this concept an African twist. 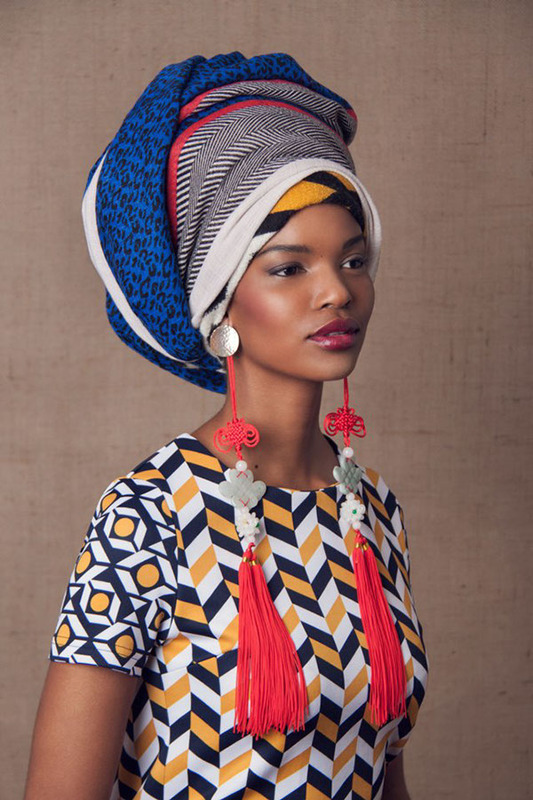 All the different mixes of fabrics and prints combined with these huge head wraps and modern outfits showcase the current state of African Fashion: fabulous, creative and influenced by the past & present. But I would recommend to leave the sack of oranges at home before hitting town ;-). These images will function as my new outfit and dressing inspiration. I want to hear from you – how do you like this photo shoot?